A mother wears many hats: chauffeur, manager, coach, teacher, nurse, …I know there’s so much more on this list that I’m leaving out. A mother is pretty much the whole world to a young child (and yes, fathers are too, but you’ll see where I”m going with this in a moment). As your children grow into young adults, you are still their cornerstone. They may choose to be with their friends more, but you are still a predominant force in their lives. A mother is a role model for her children. 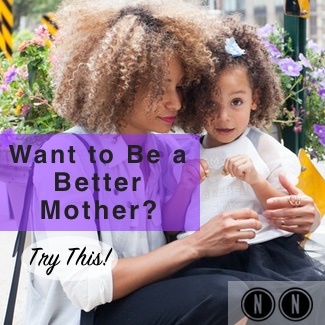 Being a mother is a balancing act between being a mother, and being her own person, wife or partner if you have one, a friend, daughter, worker/entrepreneur/boss, and other roles you may have in life. When your kids become the predominant focus in your life (and we’re not talking here of infants and toddlers who demand so much of our attention), then it may be time to reflect on what kind of a role model you would like to be for your children. Many of the children who become “best friends” with their mother, whose mothers do not have much of a life outside of their children, grow up to have all kinds of issues because they have been made the center of someone’s world. So, maybe it’s little narcissists being created, or they’re martyrs because they give up their lives to take care of their mothers, and/or they grow up to be adults who have relationship issues, or future depression or anxiety. Being a great mother is a balancing act. It’s important to have a fulfilling life–outside of your children. Because, children grow up. If you have too much invested in your children, you’re not leaving either of you enough room to breathe. In healthy families, there are clear boundaries between parents and children. When these boundaries are blurred, this creates all kinds of problems–especially for the children. There’s the overbearing mother (aka the smother mother) who’s reliving her childhood dreams and putting it on their child: Do this! Do that! You’re going to become a superstar if I have to sacrifice everything! And, maybe not even that intense, but that child feels intense pressure to perform–and to do it well. Then you have the victim mother who comes across to the child as you’re my whole world, what will I do without you? I need you to protect/care for me. Some mothers flip the roles of parent and child, and their children become caretakers and protectors of their mothers. Kids are no longer kids–they’re taking care of the mother’s needs to the detriment of the child. And then there’s the mother that is barely home for their child or children. They’re not present to their child because their lives are too full of everything else. I once had a doctor who had 5 kids. The nanny was raising them. Those kids spent more time bonding with the nanny than the parents (the father was also a doctor) in that family because the parents were never home. While I don’t want to judge what’s right or wrong, I would like to point out how each of these examples affects the quality of life for a child. I think I speak for most parents out there: We all want our kids to grow up happy and healthy. Some of the things that are “put on” children do not foster overall happiness and healthiness. Being a mother is hard work. There is no one-size-fits-all manual out there that spells it all out for you. To be blunt: What helps is if you have your crap together so it’s not acted out unconsciously on your child (therapy/counseling/coaching is the gift that keeps on giving). 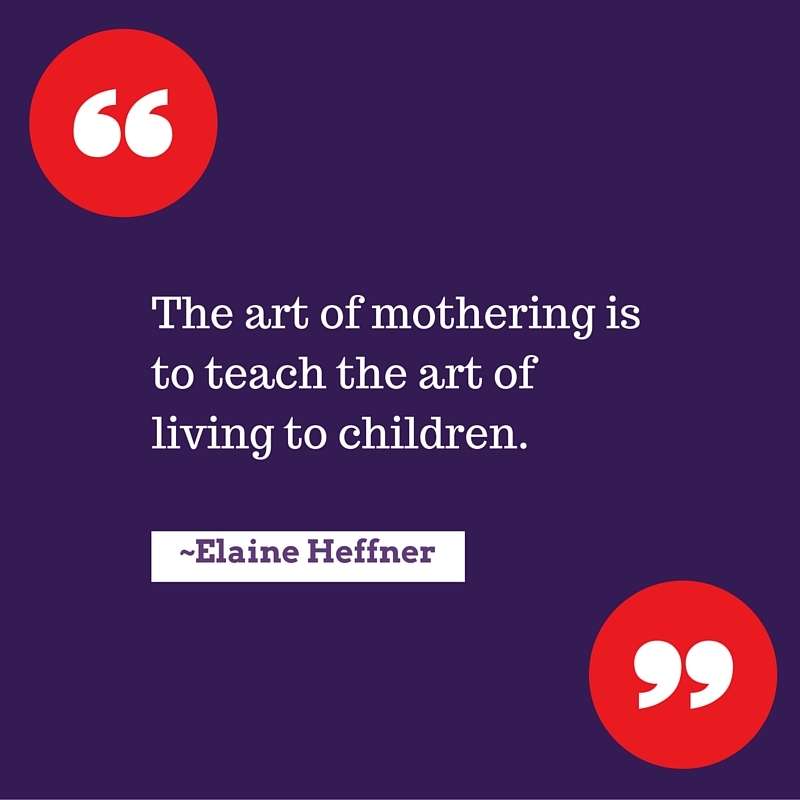 So many people resort to their default mode in being a mom–either parenting similarly to their parents or going the opposite way. Then they act out all of their childhood wounds that aren’t acknowledged or processed in a healthy way. We’re blessed that we can work, have a family, and have a life. Balancing that is hard–it changes from day to day; month to month. However, I think we all know deep down when we’re not very balanced. It is okay to have a life separate from your children. Teach them how you would like them to be when they grow up–you are your child’s first and probably most important role model.